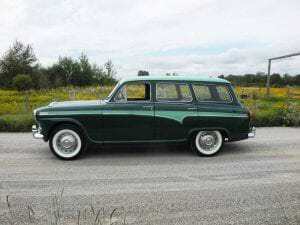 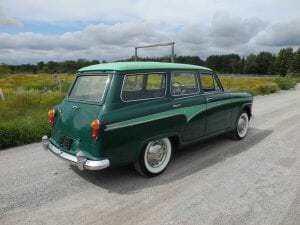 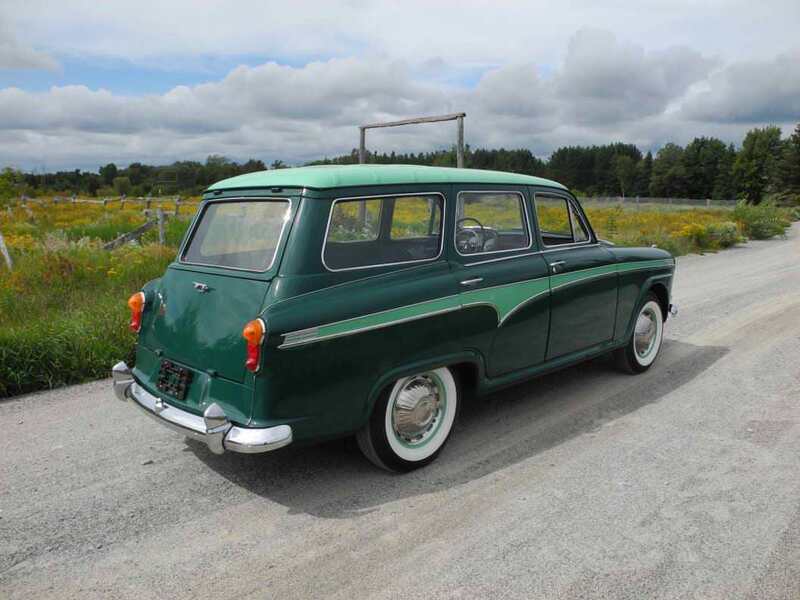 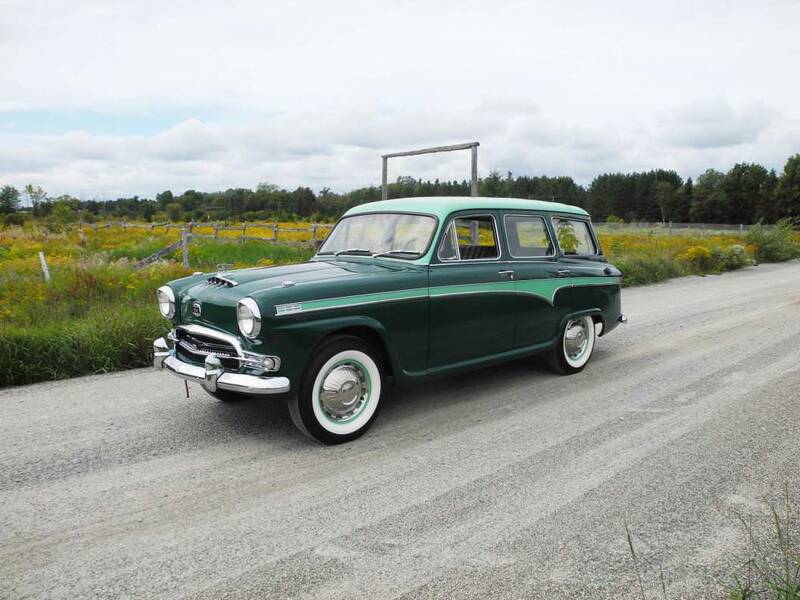 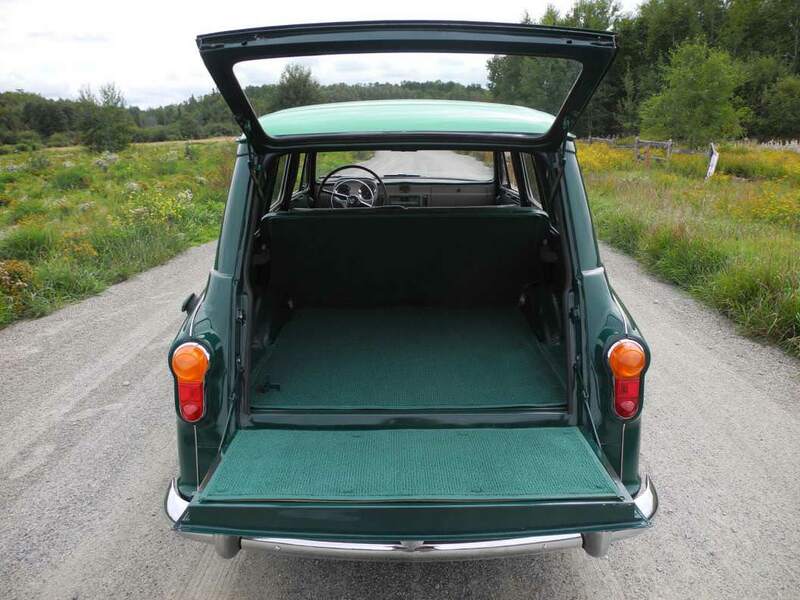 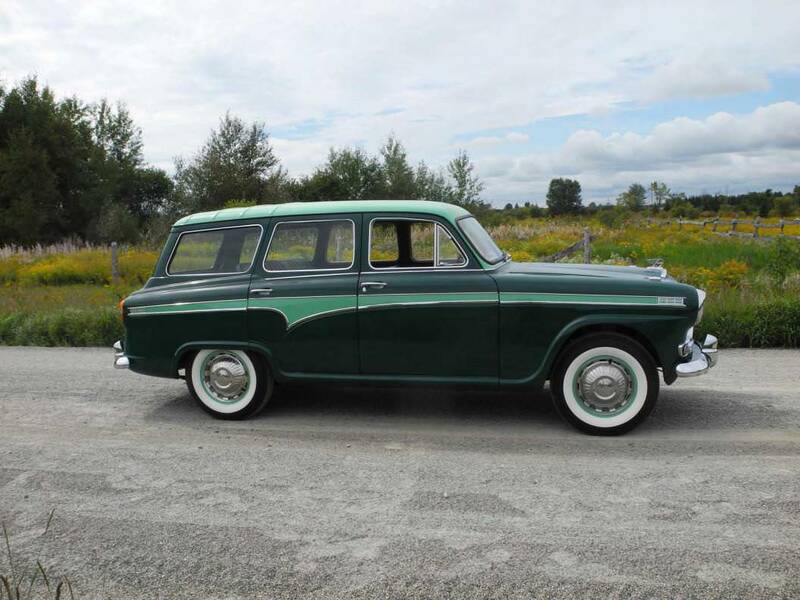 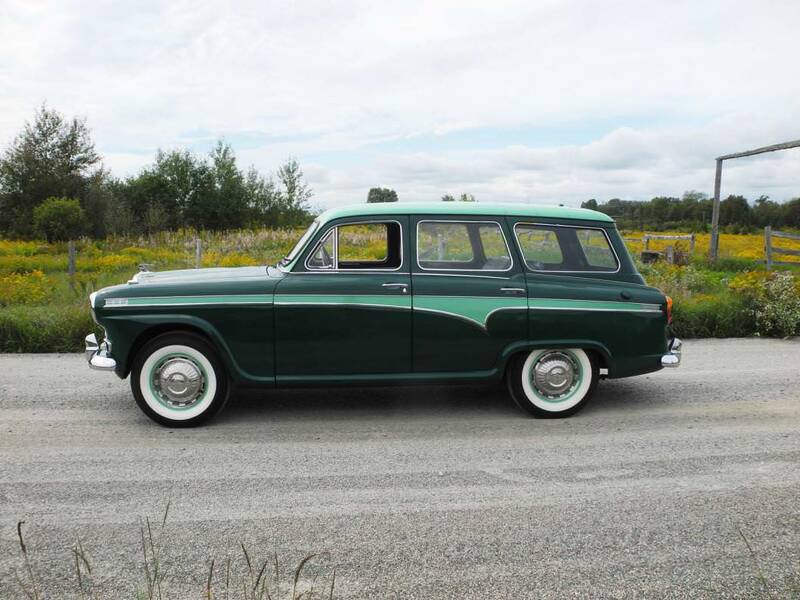 This stunning Westminster wagon built for North America with left hand drive was imported here in the spring if 1958. 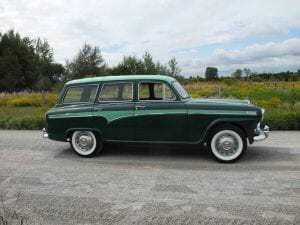 Restored several years ago after coming out of long term storage, this rare wagon still looks amazing to this day. 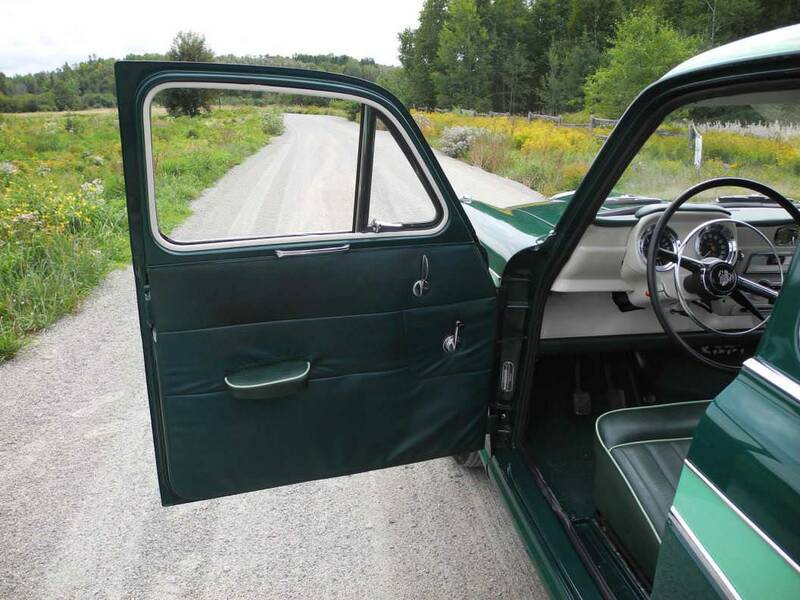 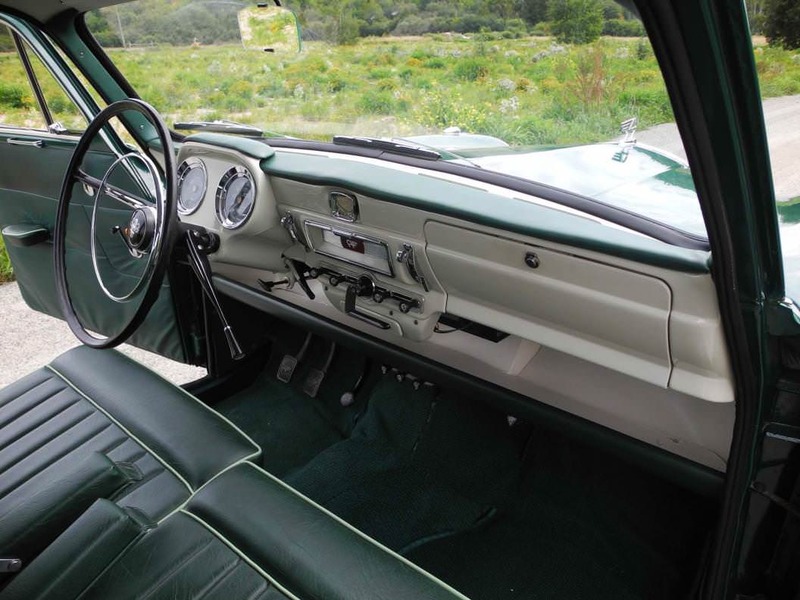 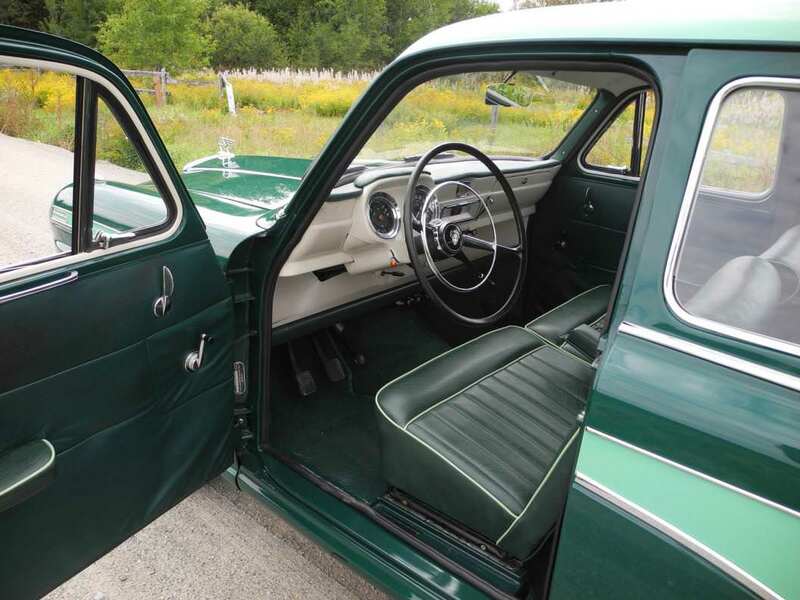 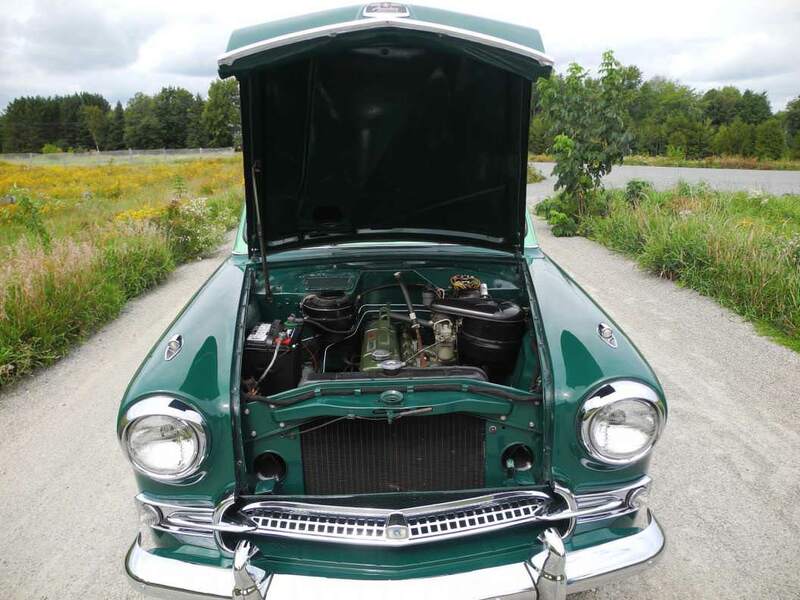 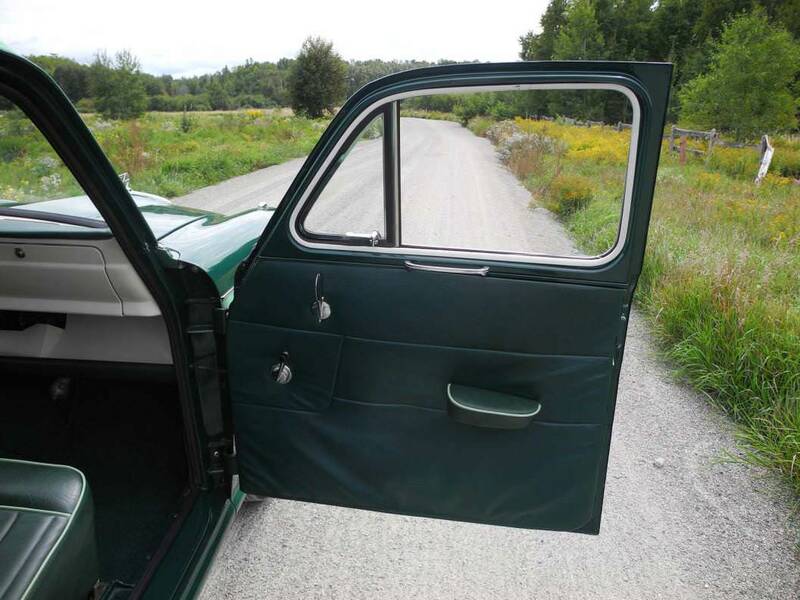 A beautiful two-tone green finish is adorned by flawless chrome and stainless trim, with matching colors used on the excellent leather seat interior. Austin’s unbeatable OHV 161 cu.in. 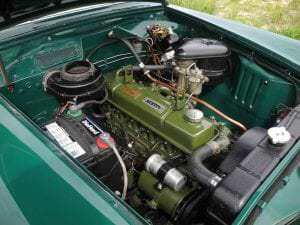 92 hp inline six cylinder engine mated to their column shifted fully synchromesh four speed manual transmission with overdrive performs flawlessly. 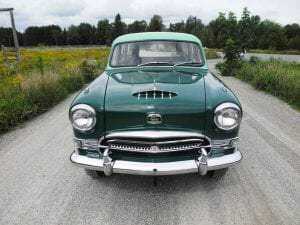 BF Goodrich Silvertown 6.70-15 wide white wall tires with original full wheel covers look outstanding on this extraordinary automobile. 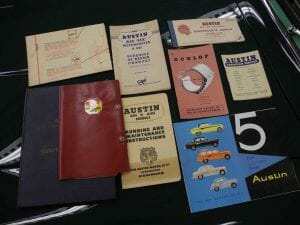 Car comes with shop manual, dealer brochure, lubrication chart, several pamphlets and import letters. Try to find another like it. 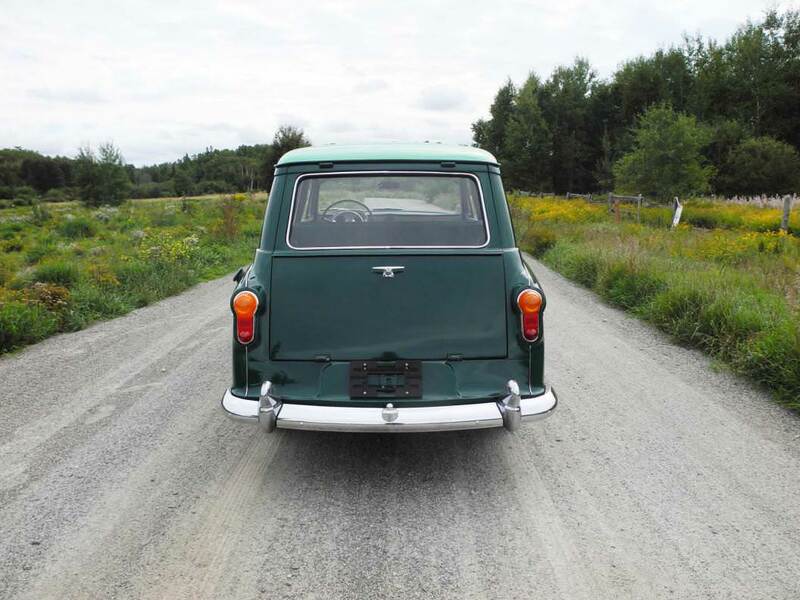 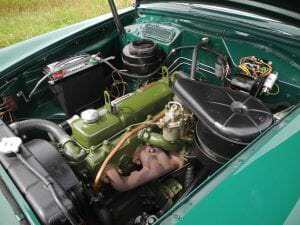 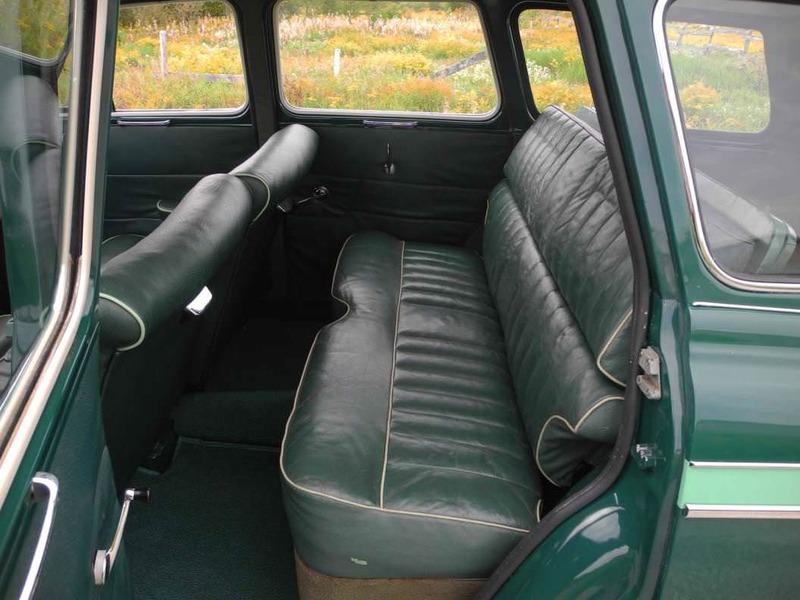 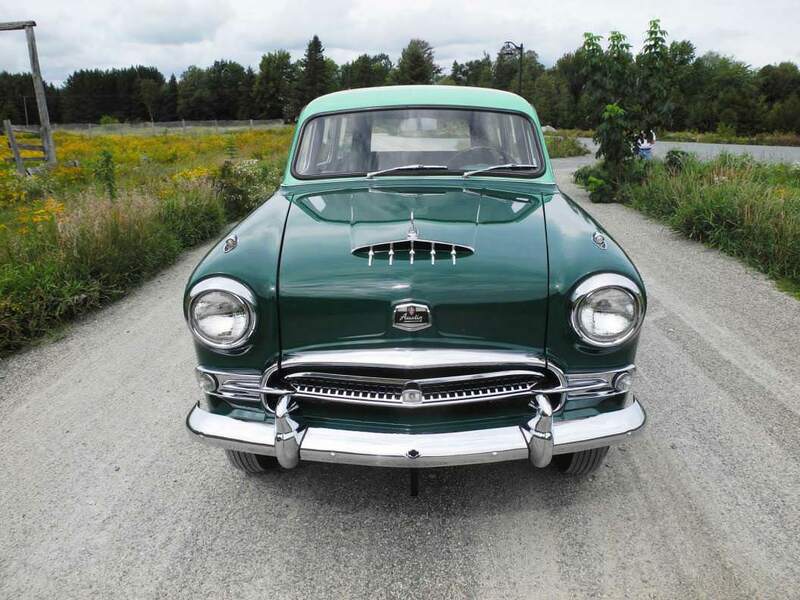 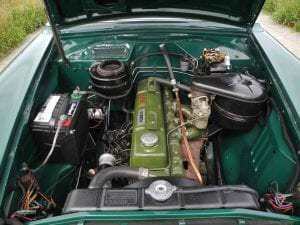 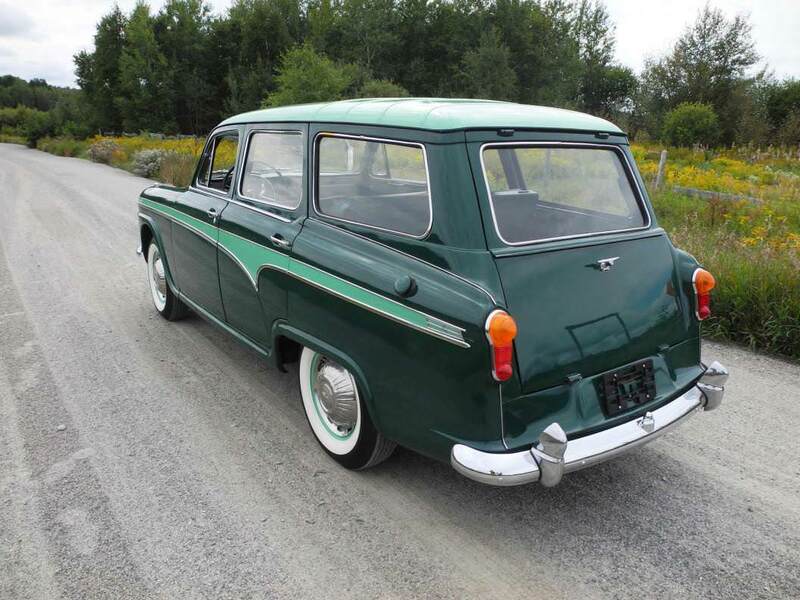 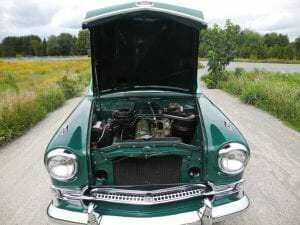 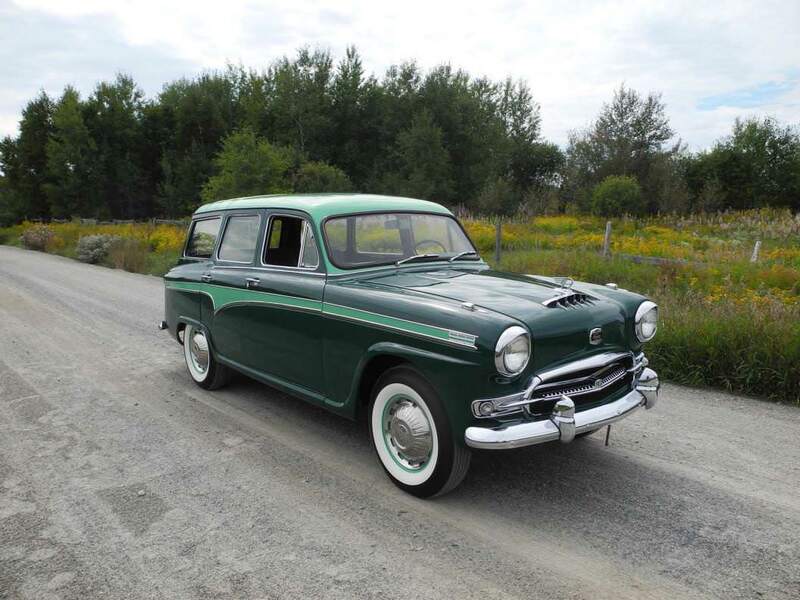 1957 Austin A95 Countryman Deluxe?